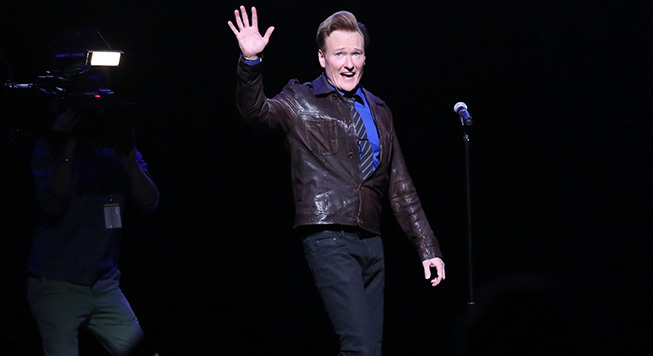 Conan returns with a makeover to TBS on Tuesday, Jan. 22, with guest star Tom Hanks ushering in the show’s return. The Emmy-winning late-night series returns after taking time off for a brief makeover, and for host Conan O’Brien to focus on other projects like his new interview podcast, Conan O’Brien Needs A Friend, which debuted in November, and touring with his live show, Conan & Friends: An Evening of Stand-Up and Investment Tips. The 30-minute talk show from Team Coco has also set the cast of The Good Place, Bill Hader, Gina Rodriguez, Pete Holmes and others as guests for its welcome back week—see the full slate down below. With his combined 26 years on the air, O’Brien is the longest-tenured host in late-night television. Watch a recent promo for its return below, and catch Conan weeknights on TBS at 11 p.m. EST/PST.